I am beyond excited for today’s post, but before we get to my road trip essentials I wanted to share the winners of my two recent giveaways! 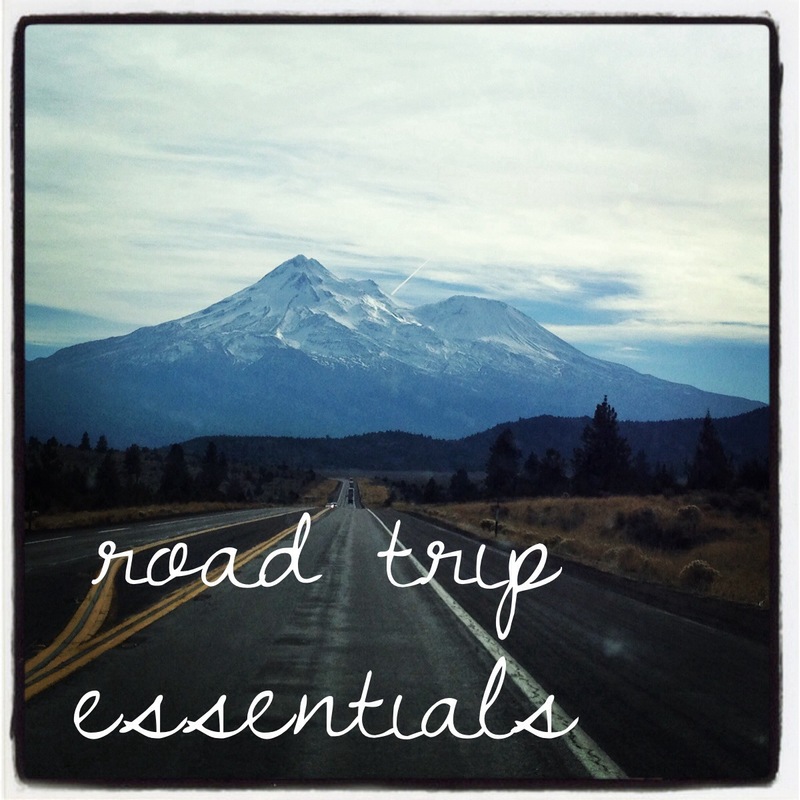 As y’all know, I love traveling and so when I found the Road Trip Essentials campaign from Turo (Formerly RelayRides) I just knew I needed to share my road trip essentials with all of you! 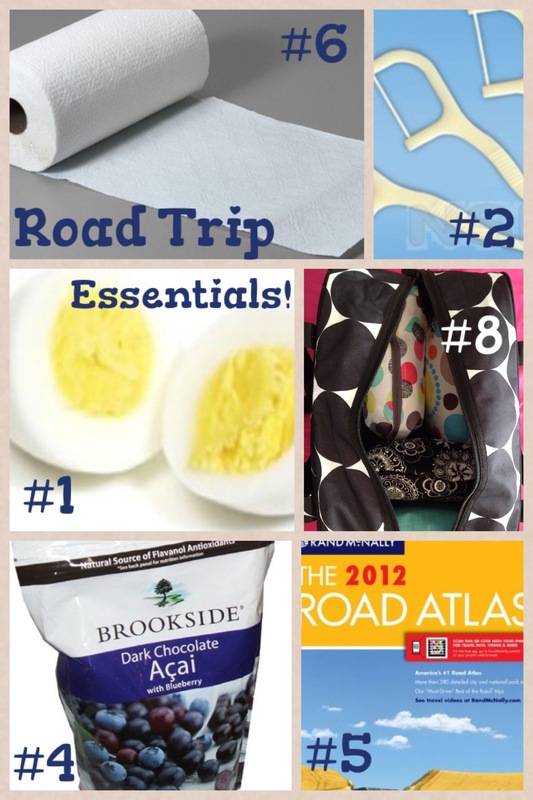 Here are my road trip essentials…which I will be taking on my road trip this summer to Denver! 1. Hard boiled eggs ~ I get that most people probably don’t pack hard boiled eggs when they take a road trip but I can’t get in the car without one! I eat a mostly clean diet (#4 will let you know that it’s not a 100% clean diet!) and hard-boiled eggs are a great mobile source of protein. 2. Dental floss ~ I know it sounds strange but when I’m on the road I need dental floss just in case something gets stuck in my teeth…I don’t want it bothering me for the next 150 miles! 4. Dark Chocolate Acai & Blueberries ~ This is my chocolate guilty pleasure and it makes road trips better. 5. Rand McNally Atlas ~ I know in the age of smart phones and GPS’ this one might seem a little silly but my dad taught me when I was little how to read a real map and the truth is that this skill has come in handy…sometimes on a road trip you enter an area with no cell service and that is not somewhere you want to get lost! 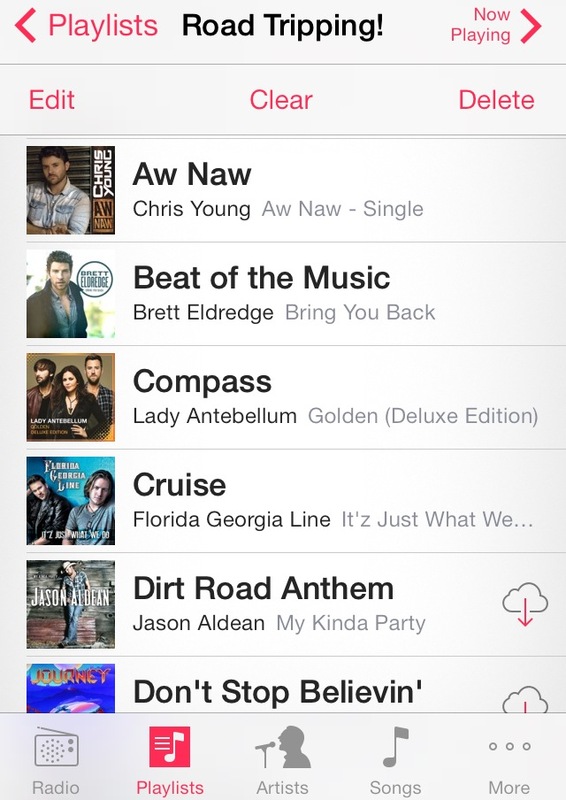 Aren’t you proud of me dad for including this one on my list?!? 6. Trash bags and paper towels ~ I can admit that I’m a little bit OCD and so a dirty car would drive me crazy on a road trip! 7. Directions to cupcake shops ~ I travel to cupcake shops all around the country and so any road trip requires directions to cupcake shops on the way! 8. Zipper Pouches ~ These zipper pouches keep everything organized and easy to find! If I’m spending multiple days on the road these zipper pouches make it easy to just grab what I need for the next day instead of taking my whole suitcase into the hotel. 1. The staff was incredibly helpful and kind. This might seem like standard customer service, but let me tell you…it isn’t! So I always appreciate people that are willing to answer questions, talk about their cakes and be willing to help! 2. 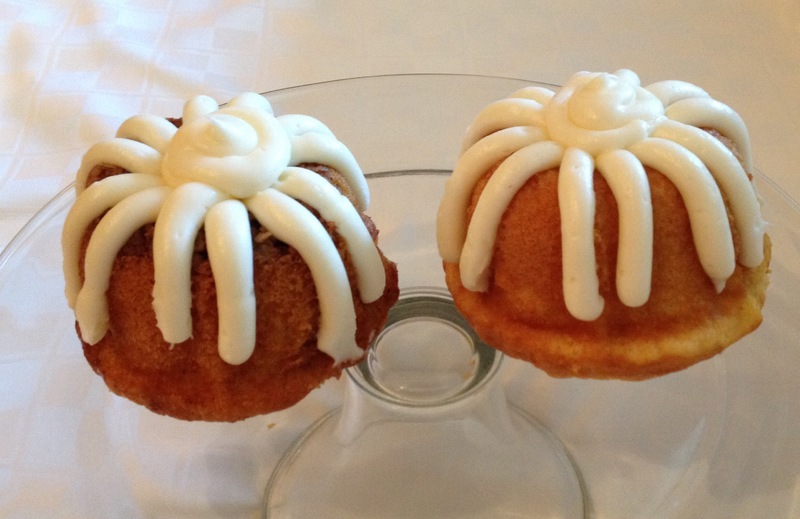 Bundt cakes come with a hole in the middle and at Nothing Bundt Cakes that fill that hole with frosting…um, genius! 3. 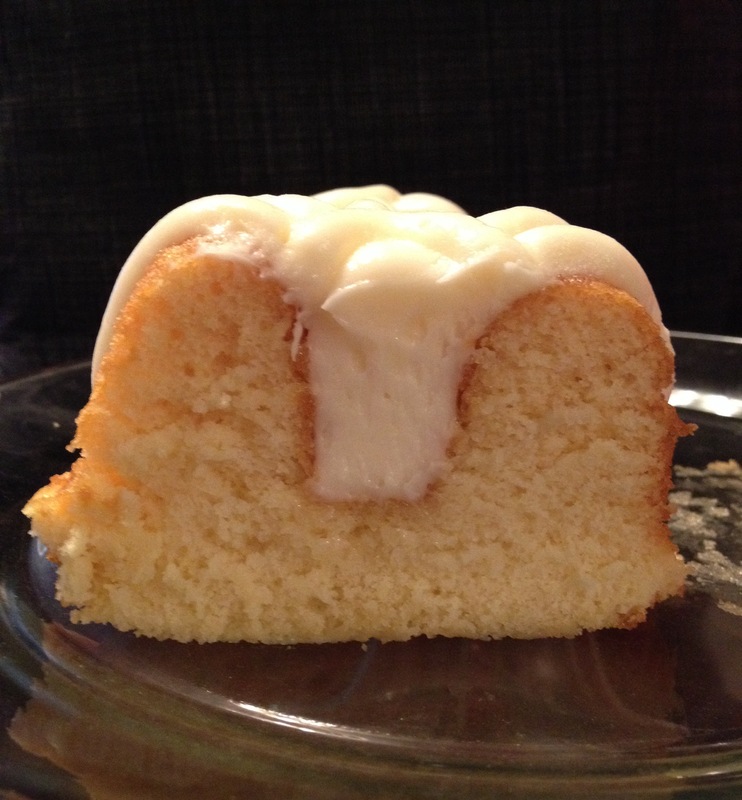 This might have been the most perfectly moist cake I’ve ever had…for sure in the top three! 4. They offer samples in the store…I love being able to try out a flavor or two before I make a purchase. 5. The store regularly offers nine flavors of bundt cake…Chocolate Chocolate Chip, White White Chocolate, Red Velvet, White Chocolate Raspberry, Carrot, Lemon, Marble, Cinnamon Swirl and Pecan Praline…and I love the mix of traditional flavors (like the Red Velvet) and creative (like the White White Chocolate!). On my trip to Nothing Bundt Cakes I had the Pecan Praline and White White Chocolate and now I can’t wait to go back to try some of the other flavors! If you’ve been following the blog for any length of time then you know I absolutely love cupcakes! You can head over to my Cupcakes Across America page to see all of the cupcake shops I’ve tried out all over the country and if you’ll indulge me for just a minute I can explain why I love cupcakes so much. You see, they are the perfect dessert because portion control is built right into them! And don’t forget, cupcakes have a better cake to frosting ratio than a actual slice of cake (always have so much cake part left when you finish the frosting!) 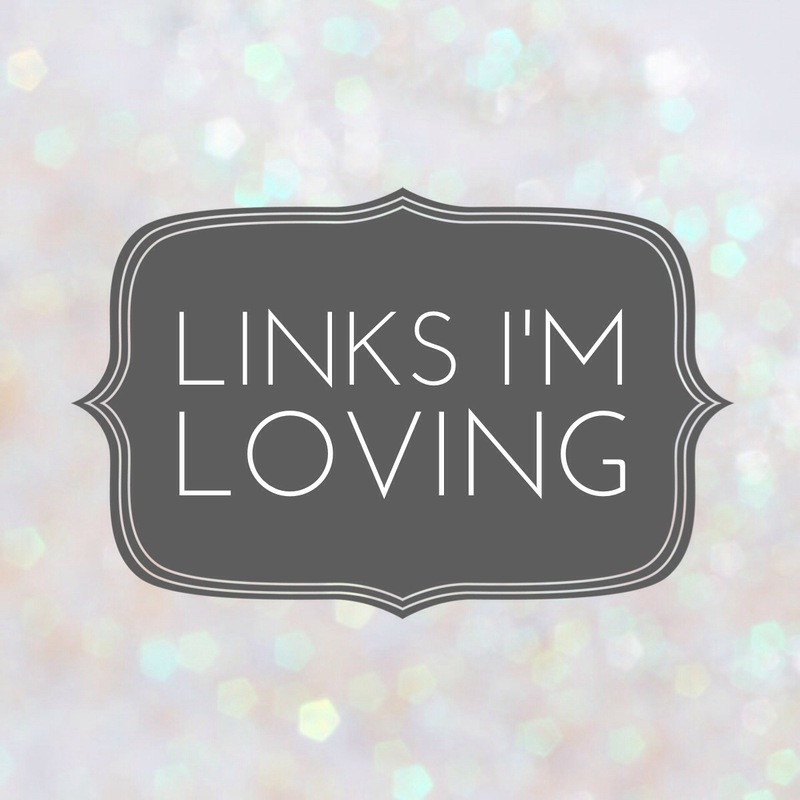 So for this week’s Links I’m Loving I thought it was only fitting to share some pretty awesome cupcake recipes, blogs, crafts, and more! Cupcakes Inspired by Cookies …two desserts for the calorie cost of one! Cupcakes Inspired by Holidays …because you just need cupcakes all year round! 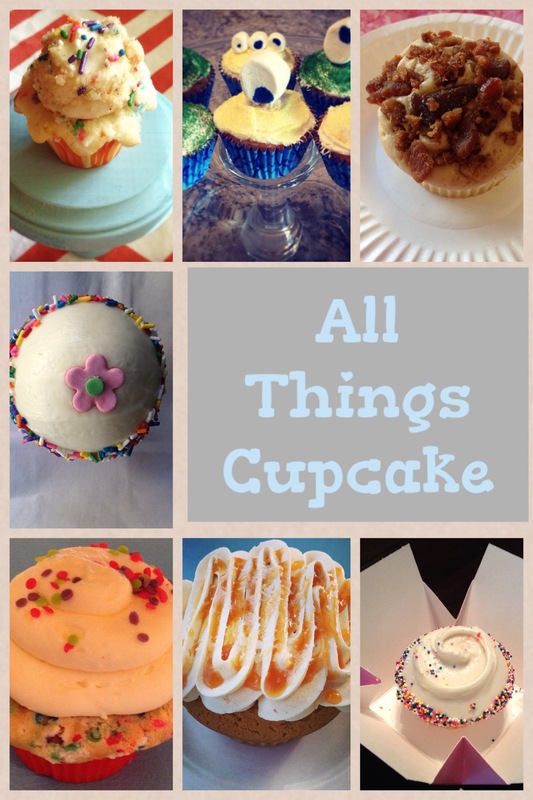 Cupcake Blogs to Follow …you need to check these blogs out for all things cupcake! Cupcake Project – More than 200 cupcake recipes! Cupcakes Take the Cake – Cupcake photos, recipes, reviews and more! Hoosier Homemade – Cupcake heaven! Cupcake Themed Movies and TV …so you can eat cupcakes and watch them at the same time! Cupcake Wars (TV)… my dream would be to be a judge on this show! I was five years old when I decided I wanted to be a teacher when I grew up. I came home from kindergarten every day and taught my younger sister whatever I had learned in school that day. The result? She learned to read at a very young age and I decided early on that teaching was my dream job. I look back at my years in school and have very fond memories of so many of my teachers. My first grade teacher led us in an awesome production of Tikki Tikki Tembo No Sarembo Hari Kari Pi Chi Pip Peri Pembo in which I was the narrator…and to this day I can recite that poor boy’s name. My second grade teacher organized a post office for us and helped us assemble a classroom cookbook…my contribution was English Muffin Pizzas! My fifth grade teacher rewarded us for reading which was a dream come true for someone that loves reading as much as I do. My eighth grade teacher taught me to be a writer, a skill for which I am so thankful! But as awesome as my teachers were (and still are!) I didn’t really appreciate them until the day I became a teacher! And then I realized that teaching is more than just planning creative lessons and putting up cute bulletin boards! There are papers to grade, parents to call, demands from the district, report cards to fill out, and so much more. And on top of all that teachers need to be able to manage a classroom full of people with different strengths and gifts. By the time I finished my first year of teaching I wanted to go back and personally thank each one of my teachers for the outstanding job that they did. And entering is SUPER easy! 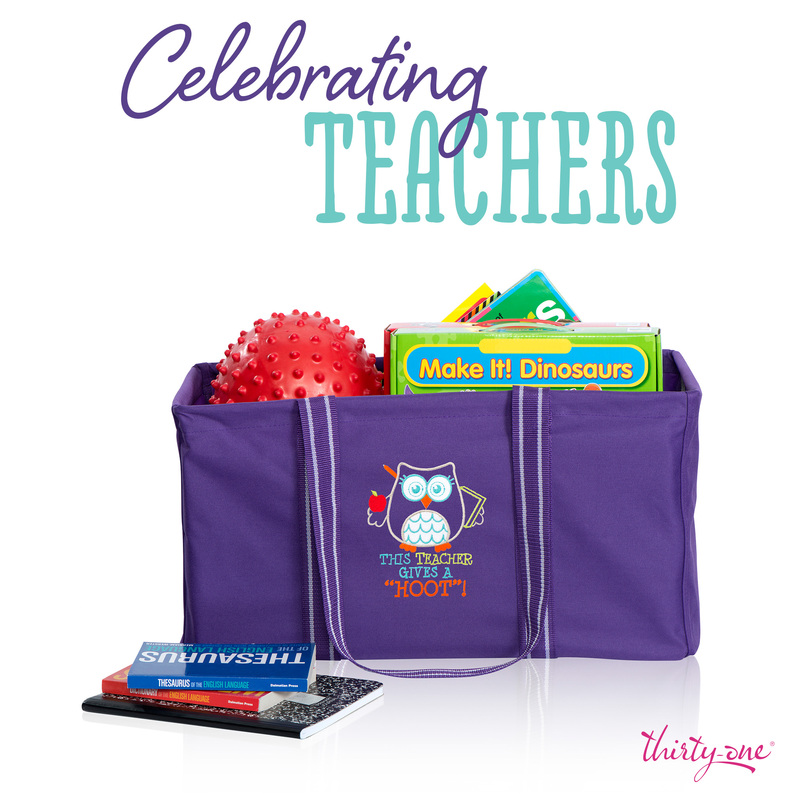 *If you are a teacher, comment below and let me know why you love teaching and you’ll be entered to win! *If you know a teacher, comment below and let me know the teacher’s name and why you think they’re a great teacher! If you want bonus entries you can follow me on Twitter and/or share this giveaway on Twitter…just make sure you comment below and let me know you did those things so that your extra entries are entered into the drawing! 1. It’s all fresh. And I’m not exaggerating when I say it’s the freshest cupcake I’ve everhad from a cupcake shop…and I’ve had a lot. Here’s why: When you order your cupcake they actually go to the back and frost your cupcake! 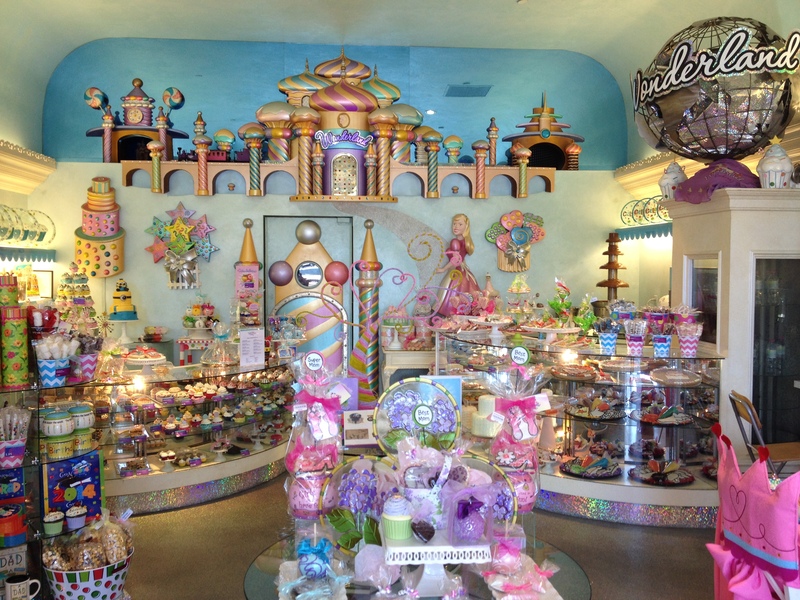 There is absolutely nothing wrong with having a cupcake straight from the display case (I mean I do it all the time! 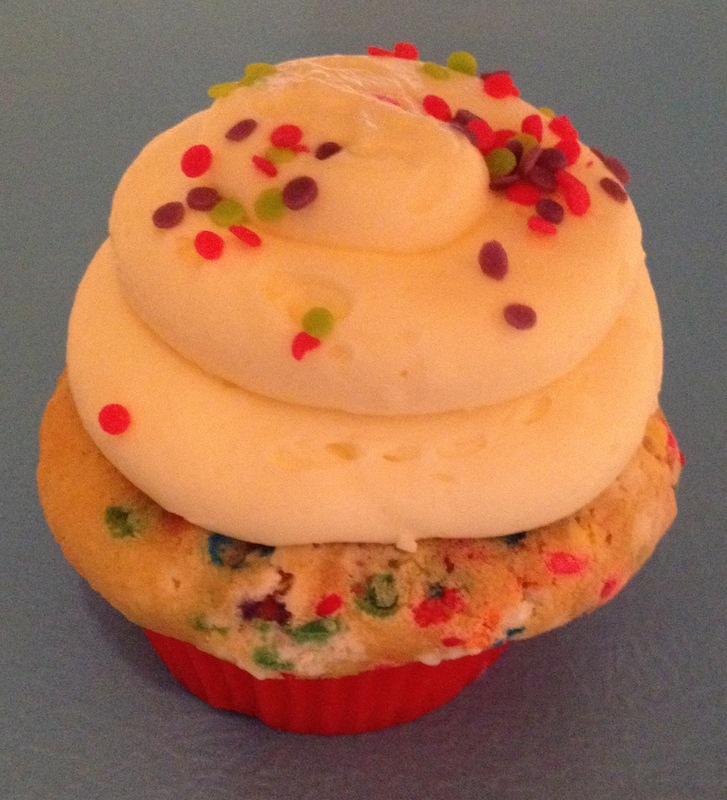 ), but there is just something about a freshly frosted cupcake that is pretty wonderful. 2. They host cupcake parties. Do you think there is an age limit for this or can I have my 32nd birthday party there next March?!? And it gets even better because they’ll bring in characters that fit with the theme of your party. Want a Frozen party? You can have Elsa come say hello to the guests while they frost away! 3. Their staff is super sweet! They were so helpful and welcoming and truly made the experience pleasant. 4. The cupcakes were delicious and featured some of the creamiest frosting I’ve ever had! 5. I only want to eat the cupcakes, but it’s worth sharing that they also serve a wide variety of other treats including cake pops, cookies, macarons and more! A couple of other things that I wanted to share…they’ve been around for NINE years! They sent 6000 specialty cookies to the White House for the last Inauguration party. They will soon be opening up a second shop in Las Vegas! 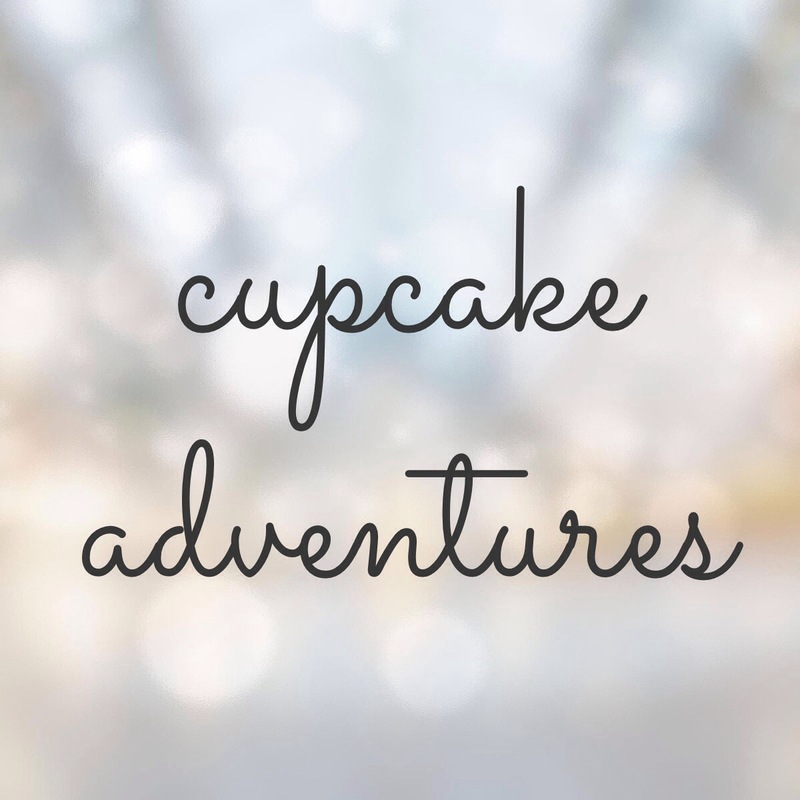 Well, that was a memorable cupcake adventure…where should I head next?!? P.S. Don’t forget to head HERE to enter a giveaway for The Extravagant Fool…a great book I just read! This Sunday is Mother’s Day and I absolutely love this holiday because I am fortunate enough to have a really awesome mom. If you had asked me when I was about fourteen what I thought of my mom, I don’t think I would have had too many nice things to say but my mom loved me through this rough teenage years and now we talk almost daily. My mom is my biggest cheerleader, an excellent sounding board, able to calm me down when I feel like life is out of control, and just one of my favorite people. 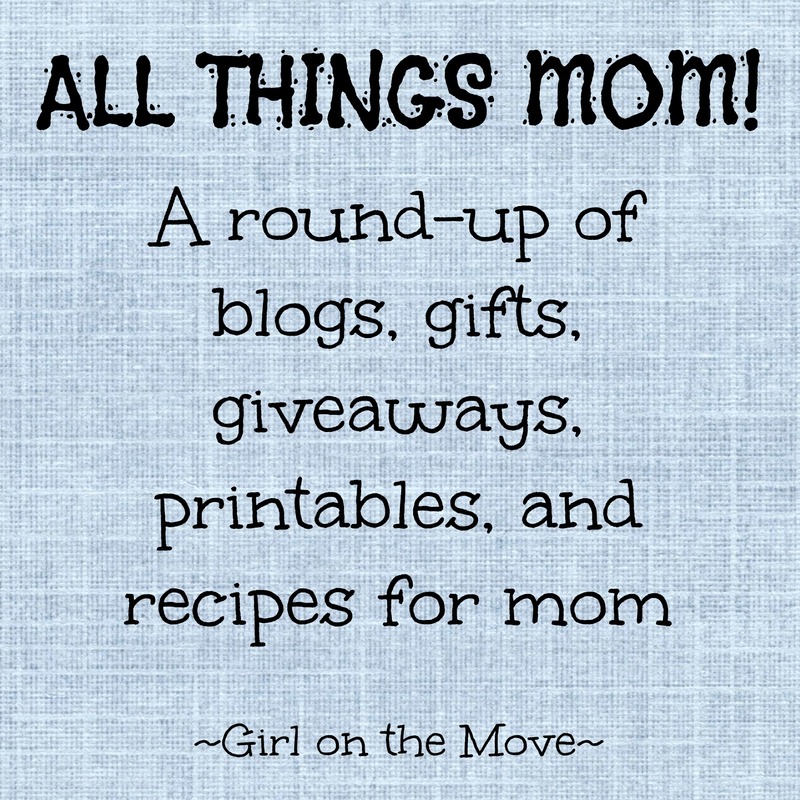 So it seemed only fitting to make this week’s Links I’m Loving Mother’s Day themed! Also, don’t forget to head HERE to enter the awesome giveaway I posted yesterday for a copy of The Extravagant Fool! Praline Pancakes from Oh, Bite It!